Same fragrance as the original Lacoste L!ve but in a different package. Good clean fresh scent. Very strong and masculine smell. If Opium Sport was a thing this would be that. Feel refreshed with Live, a casual men's fragrance from Lacoste. Featuring notes of lime, guaiac wood, and licorice, this energetic fragrance is ideal for everyday wear. 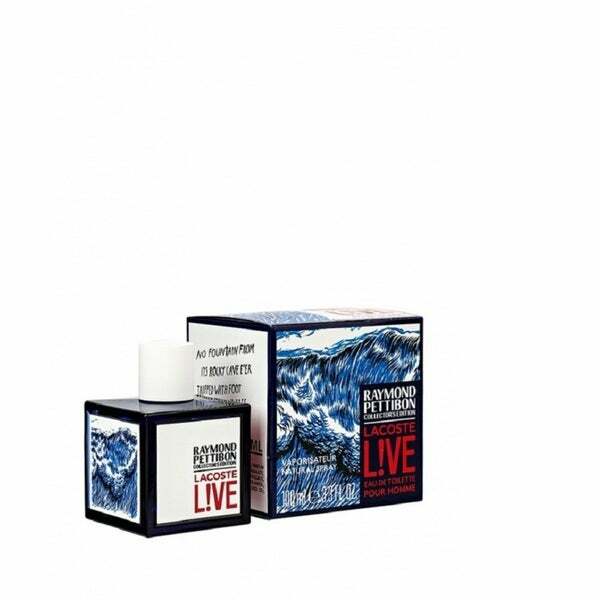 Lacoste Live Raymond Pettibon was a brand new cologne that my boyfriend had never used before. He absolutely loves the scent and requested for another bottle of the same cologne for his birthday. I highly recommend this Lacoste fragrance!